Today it’s my very special pleasure to welcome Western Australian author (and gorgeous person! ), Rachael Johns, to my blog. Welcome Rachael! Please tell us – What was the last book you read? UNEXPECTED by Maisey Yates – great original cowboy story! I adore the sassy banter between Maisey’s characters. This one is about a mix-up at an IVF clinic and is a great twist on the classic surprise baby! It sounds great. What are you currently reading? I’m reading two books at the same time – a print book and one on my iPad. The print is THE RETURNED by Jason Mott which has been getting lots of hype. It’s about dead loved ones landing back in current day and the affect this has on the people around them. Am not far in but I LOVE the concept. The e-book is Tempt Me, Cowboy by Megan Crane who I spent a bit of time with at the recent RWAus conference. It’s such a fun novella with a straight-laced heroine and a motorbike riding hero. I love a good story of opposites attract! What book(s) is/are next on your reading pile? Oh SO many. I’ve got who knows how many books on my iPad and overflowing shelves waiting to be read at home. A few books I can’t wait to get to are: London’s Last Scoundrel but Christina Brooke, The Apple Orchard by Susan Wiggs, Gather The Bones by Alison Stuart, Ask Me To Stay by Elise K Ackers, Ember Island by Kimberly Freeman, Why Resist a Rebel by Leah Ashton and A Stranger In My Street by Deborah Burrows – nice wide variety there! Well as they say, variety is the spice of life! Tell us about your latest release – that of the gorgeous cover! 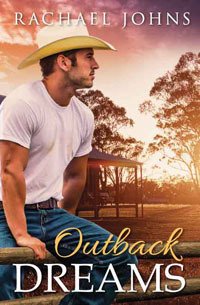 OUTBACK DREAMS is the story of Faith and Monty who have been best friends for as long as they can remember. They’re both ready to settle down but this means different things for each of them. When a drunken night, leads to them sleeping together, they’re forced to confront feelings they never knew they had for each other. Of course their worlds turn upside down. In addition to the love story, OUTBACK DREAMS explores the affect Monty’s autistic brother had on his family and also the relationships between Faith and her brother and father following her mother’s death. OUTBACK DREAMS is about realizing your dreams and grabbing hold of them with everything you’ve got! Faith and Monty are both looking for love…but they’re looking in the wrong direction. Faith Forrester is at a crossroads. Single, thirty and living on a farm in a small Western Australian town, she’s sick of being treated like a kitchen slave by her brother and father. Ten years ago, her mother died of breast cancer, and Faith has been treading water ever since. She wants to get her hands dirty on the family farm. She wants to prove to herself that she’s done something worthwhile with her life. And she wants to find a man…?? For as long as he can remember, Daniel ‘Monty’ Montgomery has been Faith’s best friend. When he was ten, his parents sold the family property and moved to Perth, and ever since, Monty’s dreamed of having his own farm. So for the last ten years, he’s been back on the land, working odd jobs and saving every dollar to put toward his dream. Now he finally has the deposit. But there’s still something missing…?? Monty and Faith are both ready to find a life partner and settle down, but have they both been looking in all the wrong places? I, for one, can’t wait to read Outback Dreams! Thanks for being my guest today, Rachael, and good luck with your new release. Thanks for having me on your blog Kerrie! I LOVE hearing about what other people are reading. If only there was more time and we could get through MORE books! Wow, with that intro to who Rachael Johns is, I feel I know everything about you now LOL. Outback stories are certainly going ahead in leaps and bounds. I think that is wonderful for Australian writers. Always enjoy your guest posts. 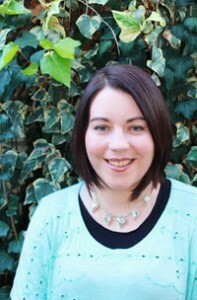 Hi Mary – isn’t Kerrie’s blog great!? LOL re my intro. Life is very busy but I wouldn’t have it any other way. x Rach! I’ve been meaning to read The Returned. It looks riveting. I see it’s about to become a TV series, renamed Resurrection. I hope it doesn’t get muddled with the other recent TV series, called The Returned, which is about exactly the same thing. How confusing. Outback Dreams looks great! I always love your covers, Rachael – so truly depict our wonderful country. The Returned sounds fascinating and I must check it out too. You certainly have a very busy life – I’m in awe. Congratulations on Outback Dreams and I hope it sells like wildfire.